"Contrary to popular belief, our DNA is NOT our DESTINY. 80% of how we age is DETERMINED by how we BEHAVE. . . The magic pill is LIFESTYLE!" You will be receiving your receipt and more information about the retreat within 24 hours. If you have questions, please don't hesitate to email us. We look forward to seeing you and be part of your wellness journey. 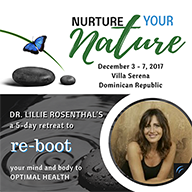 Join Dr. Lillie Rosenthal at the luxurious and serene setting of Villa Serena as she shares powerful ways of nurturing our nature. Her "MEDICAL MAKEOVER" is a 5-point plan ultimate lifestyle prescription to achieving optimal health of mind and body. At the end of the retreat, you will walk away with an effective actionable plan to allow you to live your healthiest and happiest life. EXCLUSION: ** Airfare and transportation to hotel are not included in the retreat price. 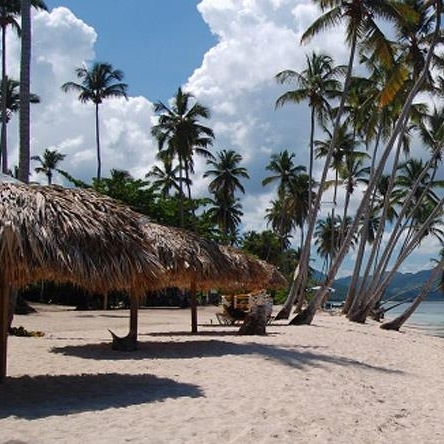 Situated right on the stunning coastline of Rincon Bay on the peninsula of Samana, Villa Serena's environment promotes healing and optimal wellness for body, mind, and soul. The resort is surrounded by palm trees, azure skies, and gently rolling waves of the Atlantic Ocean boasting a 4,300 square feet of oceanfront villa on a 2-acre land and 23 spacious rooms with large private terraces overlooking the ocean. Villa Serena partners with Metro Collaborative in offering companies, institutions, private practices and other organizations a venue for corporate programs, i.e., retreat, team building and communication workshops. This resort has 23 spacious rooms with large private terraces overlooking the ocean and a 4,300 square feet of oceanfront villa on a 2-acre land. Visit [Villa Serena]'s website for more details on rates and amenities.